Prominent & Leading Manufacturer from Mumbai, we offer lab colloid mill, inline colloid mill, mini colloid mill machine, mini colloid mill and horizontal colloid mill machine. We are the leading Manufacturer and Exporter of Lab Colloid Mill and our product is made of good quality. We manufacture and export colloid mill online design lab to the customers in a cost effective price. Lab Colloid Mill is easy in managing and provides outstanding performance. These mills take less maintenance and provide exceptional performance. These mills have strong body structure and can be transported easily without any trouble. We are the leading Manufacturer and Exporter of Inline Colloid Mill and our product is made of good quality. 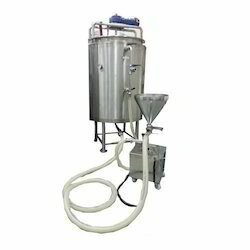 Inline Colloid Mill is having sturdy construction and heavy in weight and can be easily moved from one place to another for work. 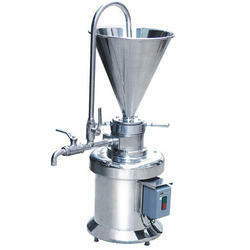 These colloid mills are made as per the requirements of the customers. Chemech Engineering has developed for the first time in India, Horizontal Model Inline Colloid Mill for the quick processing of all types of emulsions, dispersions of various medias and micro grinding under wet condition. Inline Colloid Mill has innumerable users. The inline horizontal design works under the closed and pressurized system. The process is carried out in a single pass under hydraulic shear. Discharges at an elevated level. Temperature rise is minimum and no aeration. Quality uniform through out the batch. Can handle high viscosity media. Improves color, reactivity with no contamination. Jacketed mill housing for heating/cooling. Simple to use, easy to clean, less expensive to maintain. These mills take low repairs cost. We are the leading Manufacturer and Exporter of Mini Colloid Mill Machine and our product is made of good quality. These mills are easy to handle and take less maintenance. Unique for small volume micronization. 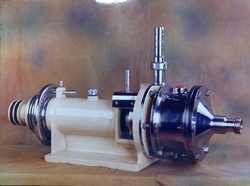 Modified design of stator-rotor assembly. 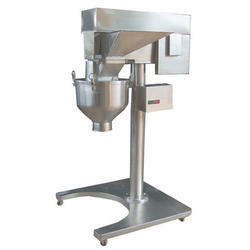 We are the leading Manufacturer and Exporter of Mini Colloid Mill and our product is made of good quality. 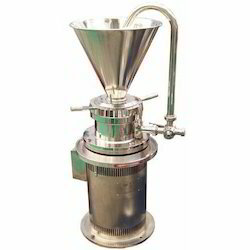 This Mini Colloid Mill is made of superior quality stainless steel and it has four rollers which help in moving the machine from one place to another. The Colloid Mill offered by us can be used in various things like pharmaceutical formulation, food products, creams, and cosmetics. We manufacture and export colloid mills to the customers in a normal price. We are the leading Manufacturer and Exporter of Horizontal Colloid Mill and our product is made of good quality. We manufacture and export horizontal colloid mill online design lab to the customers in a cost effective price. Horizontal Colloid Mill is easy in managing and provides outstanding performance.